Step back and decide what you find most important in your life. What matters most? Who do you love and what is the best way to stay connected to them? Is money really the reason that you came into this earth-life? How difficult is it to connect with your Higher Self to find your true path and open to God’s Will? Prepare to initiate a meditative state. Sit quietly. Ground and center yourself. Breath slowly and deeply. Focus upon your God Center, which is in your solar plexus. It is located at the bottom of your sternum. Imagine an orb of bright white light in the center of the width of your body. This is your God Center. Focus here and build the light ever brighter. Make it more intense and dramatic with each breath. Imagine it so bright that your eyes hurt to look at it. Allow yourself to feel the impact this SOURCE has upon you. Feel the influence of God’s presence flow throughout your being. Now imagine your higher self sitting directly across from you. You are facing each other. You recognize yourself and yet there are some dramatic differences in your appearance. Your aura is full and vibrant. Your face is unlined and flawless. Your eyes are crystal clear and KNOWING. Your attire is vivid and draped over your frame. 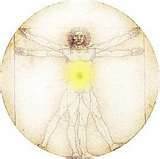 Attach your God Center to the God Center of your Higher Self by using a white cord. Feel the rush of bountiful information and guidance flow to you immediately! All at once you are ONE with God and you are firmly connected to the Divine. You may reach out and hold hands with your Higher Self if you would like. The connection is unmistakable. Absorb as much as you can. Ask for direction. Receive answers. Clear up any confused areas of your life. Allow yourself to see and know your path before you. Remain in this state for as long as you wish. Absorb what God wants you to be and to know. Be overwhelmed by a state of full and perfect bliss. All aspects of your life will fall into clarity. There will be no more questions or uncertainty while you maintain this state of connectivity. As you release this bond you will experience God’s serenity and tranquility for a short period of time depending upon how eager you are to resume the tasks of this earth-life. Then what happens? We begin to question and make changes to what we once knew to be 100% true and real. We lose that once unmistakable connection to God and our Higher Self. We shift our focus back to money and stature. Having what we want and more of what we don’t really need. We allow our human minds to lose sight of the bigger picture. We become task-oriented again. Is there a better way? Yes! Remember that state of bliss. Remind yourself how easy it was to connect directly to the Divine. Be more aware of the guidance that you received directly from God and who you came here to be. There are many things that are infinitely more important than your day-to-day responsibilities. You are an eternal being! You have a spark of God at the center of your human presence. Always! You may be wealthy or poor. You may be healthy or ill. You may have close family or no one at all. Every state that you ARE, you continue to be ONE with God. This isn’t about you and your job, your spouse, your children, your conmmunity…This has always been about you and God. The trappings of your life are clutter and debris. These “important” things only cloud your true being and your intended existence. We get focused upon collateral details and lose sight of our soul purpose. Come back to your center and rediscover your life purpose. Ask your Higher Self what you need to know so that your genuine existence may shine through again. We have lost our way but God has given us the knowledge to rediscover our true selves again. We only need to use these tools and make a committment to our Higher Path once more. Why did you come to earth for this particular lifetime? What did you hope to learn? What were the lessons you had hoped for that accompanied each situation you’ve experienced? Why did you include what you did when you wrote your chart for this lifetime? The best way to follow your chart is to meditate and communicate with your spirit guides. If you allow yourself to relax and tune into the Divine energies that accompany you, many messages and direction will be provided to you. Now you are worried. You are fearful that you haven’t meditated or you have tried before and are not very good at it. Relax. It is always ok to start now. Begin anywhere and grow more comfortable with the stillness. Some information will be given to you without you having to “hear” it. Then, you must try to ALLOW the new direction to take over. Don’t second guess everything. Accept each direction with the contentment and truth that you feel when you receive it. Many of us over-think our Divine direction. It is this stillness and faith that will bring you closer to your own truth. Begin now. Set aside time to meditate and receive input from the guides who have made a committment to walk with you in this lifetime. Accept direction and document what you have been told. Resist the urge to second guess this input. Always return to the accurate and truthful sensation you had when you first understood your advice. If meditation feels out of your grasp right now then use prayer for your Divine direction. Ask and receive. Then ALLOW your life to take the new course that you had asked for through prayer. If at all possible, work with someone who is psychic or a medium. Always find someone who works in the Light. Seek one who offers hopeful and positive messages. Any outlandish claims may have a more sinister motive. Please do not buy into “curses” with necessary actions to remove them. Buying expensive candles or medicine pouches are not necessary. Spending thousands of dollars on “cures” is not included in a true spiritual community. Your life purpose is always of the highest and best intentions. You did NOT come here to steal, sell drugs, abuse your children, abuse drugs or alcohol, defraud the government, steal an inheritance from other family members, run a Ponzi scheme… If you have chosen this darker direction then you must stop what you are doing and make positive changes to your life. Make amends to those you have wronged and begin again, this time in the Light. There are those who come into this life to act as a negative catalyst for others. You may be hopelessly consumed by grief as a model to others to manage and overcome grief. You may be an emotionally distant parent to teach those around you to be caring and attentive parents to their own children. There are many catalysts in our lives but they also have something more positive and hopeful to gain in their own lives as well. No one’s life is purely negative. Even sociopaths have something to teach us. What are some examples of the many life purposes that we may have chosen? We will review some tomorrow. Please, ask questions. I am here not only to love you but to teach you as well.